Holly needs a holiday, which is why she gladly accepts to stay in the flat above Brides by the Sea for a few weeks. She doesn't want to celebrate Christmas because of a traumatic experience the previous year and thinks she's going to spend a lot of time on her own. However, Brides by the Sea is a busy place and Holly is soon needed to help out with the work. She's a food photographer, but has promised to take photographs at a wedding for once. However, that wedding isn't the only one she's going to do, fate has other plans. Will she be able to pull this off even though it scares her? While being back in her old hometown Holly regularly runs into her teenage crush Rory. He still manages to make her feel flustered and that is something she doesn't want, at all. When Holly has to step in to save the day Rory is by her side to support her. Will Holly be able to deal with everything that comes her way? Is she really destined to spend Christmas alone or will being part of the Brides by the Sea team surprise her in the most unexpected ways? 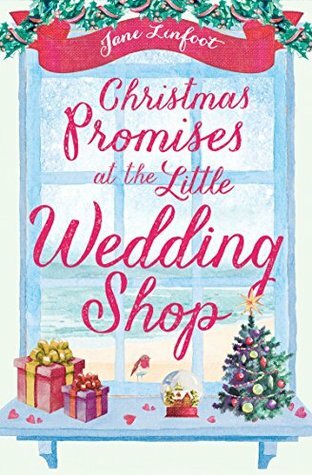 Christmas Promises at the Little Wedding Shop is a wonderful festive read. 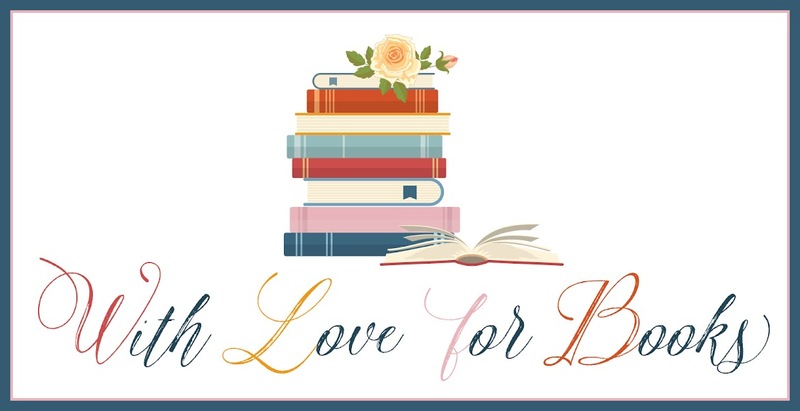 I love reading about weddings and Jane Linfoot writes about several very special ones that all have that brilliant feelgood factor a good wedding should have. It was fun to be part of them through the lens of Holly's camera. It gives the story a fabulous perspective. Holly is super sweet, but also incredibly shy. She's a beautiful person inside and out, but she tries to hide from others. With the help of caring friends she slowly comes out of her shell and that was amazing to witness. 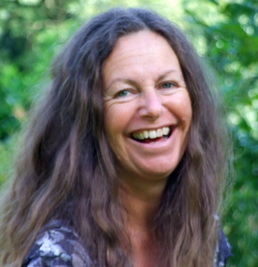 Jane Linfoot writes about this process in a heartwarming natural way filled with compassion and humor. 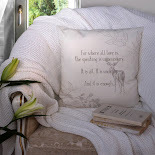 Jane Linfoot skillfully makes her settings come to life by writing about them in a lovely detailed way. I could easily picture every location she writes about. She also understands that all brides are different and that each wedding is unique and that is definitely something that makes her wedding stories stand out. Christmas Promises at the Little Wedding Shop has it all, romance, entertainment, charm, cheerfulness, friendship, small miracles, Christmas magic and lots of warmth. I absolutely loved this fantastic book. If you love reading about weddings you should definitely read The Little Wedding Shop by the Sea series. 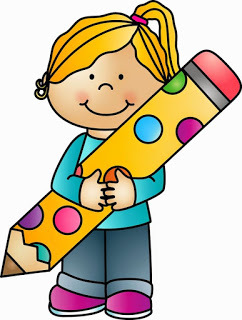 The books can easily be read as standalones, but if you want to have all the details about each character you should start with the first story and read them in their correct order. 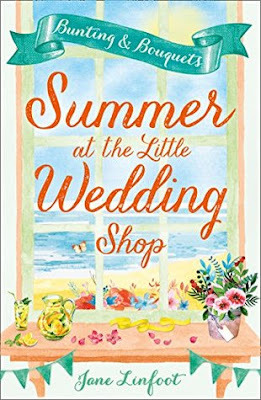 One very lucky reader of With Love for Books will receive a signed paperback copy of Summer at the Little Wedding Shop: Bunting and Bouquets. Christmas Promises at the Little Wedding Shop sounds like a wonderful festive read. It sounds so perfect for reading over Christmas. Fantastic review! Thank you for your honest review, Suze, it's much appreciated! this looks a great read, love the cover! And Jane, I love hearts, flowers and a bit of women power too. 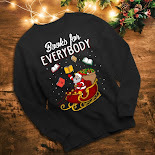 I love a good Christmas book. Thank you for the review. Sounds like a good story. It sounds like a wonderful series. This looks like a wonderful book from the cover! These books make me hope that there's a real Little Wedding Shop to visit. I absolutely adore the covers of your books. I love the cover OMGS! I love books like this for a cozy night. Oh this sounds so good! I love the cover! Those types of covers are my favorite...and always draw me in to read! 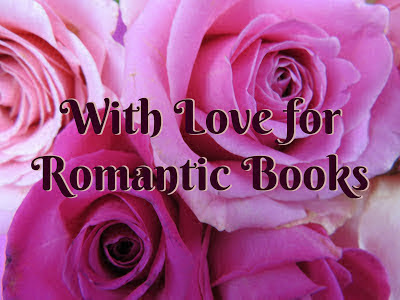 Christmas is my favorite time to read romances...just something about Christmas and Romance books!!! They just go together!